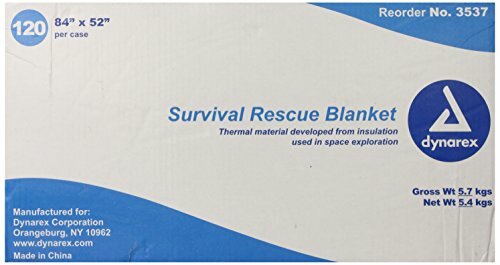 Survival emergency rescue foil blanket assists in body heat retention in emergency situations. 84" x 52" blanket folded to compact size for easy storage. Thermal material developed from insulation uses in space exploration. Redirects back 90% of body heat. One time use.